Actor Sherman Hemsley poses backstage at the 2nd Annual TV Land Awards held on March 7, 2004 at The Hollywood Palladium, in Hollywood, California. 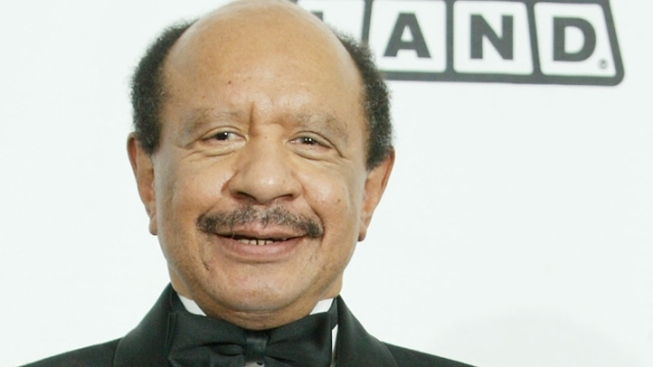 A Texas judge has ordered DNA testing on a Philadelphia man who claims to be the brother of actor Sherman Hemsley. Judge Patricia Chew on Monday delayed the El Paso trial on the estate of the star of "The Jeffersons'' television show. Hemsley died July 24 of lung cancer. His embalmed body remains in refrigeration at an El Paso funeral home amid the dispute. Hemsley's will names his longtime manager, Flora Enchinton of El Paso, as sole beneficiary. That will was signed six weeks before Hemsley died. Richard Thornton of Philadelphia is contesting the will. He claims he is Hemsley's brother and has told the Associated Press that he believes the will might not have been made by the actor. Thornton also wants Hemsley's body brought back to Philadelphia for burial. Enchinton wants Hemsley cremated and for his ashes to stay in Texas. Hemsley was born in Philadelphia but lived in El Paso for the past 20 years. Thornton sought the DNA testing and must provide results by Oct. 15. The estate trial has been rescheduled for Oct. 31. Court documents indicate Hemsley's estate is worth more than $50,000. Last weekend, a Philadelphia minister and about 30 of Hemsley's local relatives held a memorial service to celebrate his life.